Payroll and workers comp equals convenience. 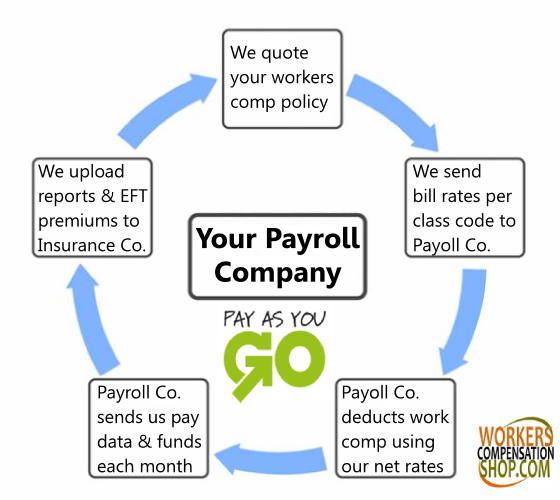 Adding Pay As You Go workers compensation insurance coverage to your existing payroll service is easy and convenient. Our agency works with payroll service providers throughout the U.S. to make it fast and affordable to find PayGo coverage. 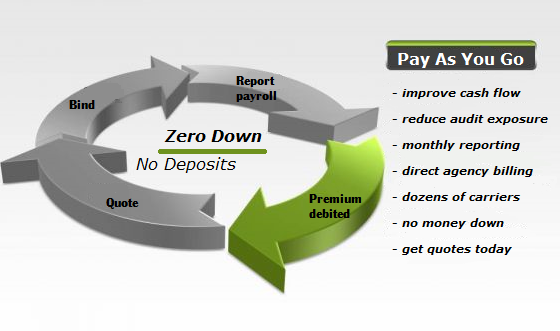 Our easy monthly reporting process makes us a great choice for almost every payroll service bureau. We're always willing to work with new payroll providers in order to help provide Pay As You Go coverage to employers. Employers who integrate our Pay As You Go workers compensation insurance with a payroll service provider benefit from reduced down payments, improved cash flow and better protection from large annual audit bills. We work with new and existing payroll bureaus to help you find and manage workers compensation via the payroll process.. Get a payroll and workers comp quote today! 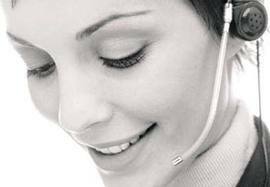 Our Back-office Pay As You Go programs make the quoting and reporting process easier than ever with our administrative support services and monthly report and transmittal process. Our Pay As You Go workers comp Specialists will help refer your business to one of our payroll service partners in your area, or we can work with your current payroll provider in order to integrate our Pay As You Go program with your vendor. We offer a better way to buy workers comp insurance and payroll with our national partner programs. 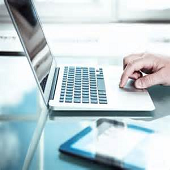 Our program is fast, convenient, and improves cash flow and employee efficiency. We've partnered with over 15 insurance companies to develop workers compensation insurance solutions on a pay as you go basis with no premium deposits required. Best of all, you pay your insurance premium in real-time based on the actual payroll reported to your process for each class code assigned to your business. Our payroll workers compensation program spreads your premium out over the entire policy year. We've built our PayGo programs to work with any payroll service provider regardless of which insurance carrier offers your business the lowest rates. Our easy monthly reporting process and flexible reporting formats makes us the best choice for payroll providers that want to compete with ADP and Paychex. Want a Pay As You Go Quote? Traditional workers' compensation policies require a down payment of 10-25% of your estimated annual premium. And often times, the carrier requires the remaining premium to be paid in full 6-9 months from the down payment. While this might not be a big deal to a business with low rates and a low premium, it can be a cash flow killer for business owners with larger work comp premiums. Pay As You Go coverage helps spread the premium out over the entire policy year. 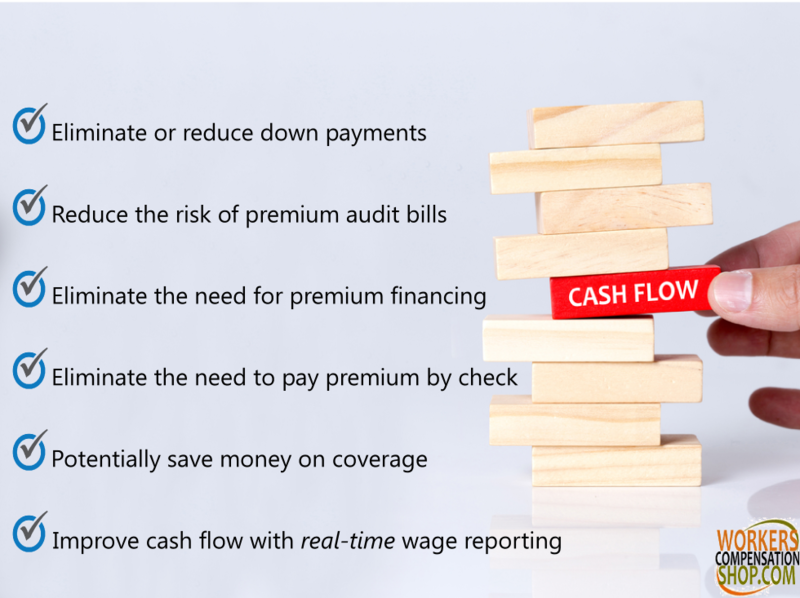 Employers who find PayGo coverage benefit from maximizing cash flow and paying premium concurrently based on the actual amount of payroll being generated by the operation. Employers often find that their paid workers comp premium is more accurate than ever and are much less likely to be surprised with a big audit balance at the end of the policy. Why Choose Pay As You Go Coverage? Get Pay As You Go Quotes. At Workers Compensation Shop.com, we've been helping business owners find more affordable Pay As You Go coverage since 2004. We help local payroll providers compete with big box payroll bureaus like ADP and Paychex so you have more choices about who processes your company payroll. 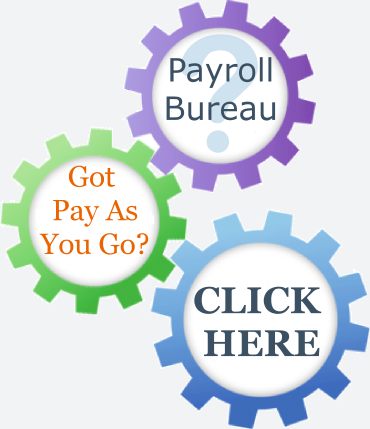 Introduce us to your current payroll service provider or ask about our partners in your area. Give us a call today at 888-611-7467 or start a Pay As You Go quote online.